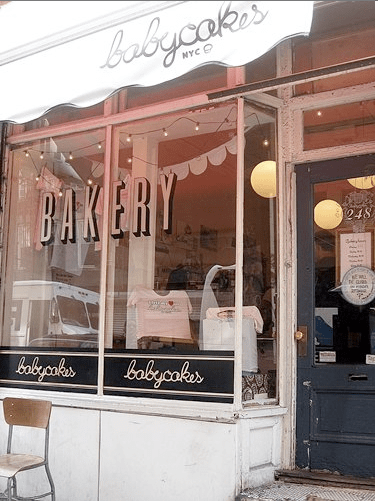 Today I ventured out of my comfy bed to the Lower East Side to go to Babycakes … A very tasty and Vegan/Allergy friendly Bakery that is super cute to boot ! I took a few pictures and then noticed after a small sign saying “Please no pictures or video.” oops. 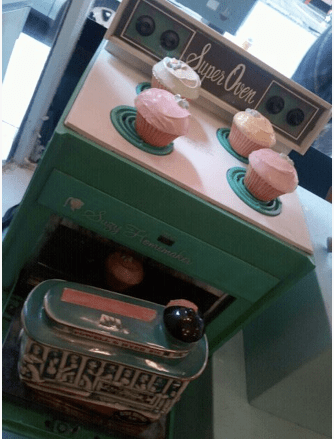 The Bakery has a 1950’s vibe, sea foam green and pale pink colors and the girls that work there wear cute uniforms with bows around their necks, also reminiscent of a retro vibe. Some people might be scared off of a bakery that is non-traditional as such BUT let me tell you.. I have a sweet tooth and have sampled my fair share of sweet treats on this continent and others and I really really love this bakery. Its healthier (no butter and other junk) tastes just as good if not better and doesn’t kill your taste buds with too much sugar, its just right. 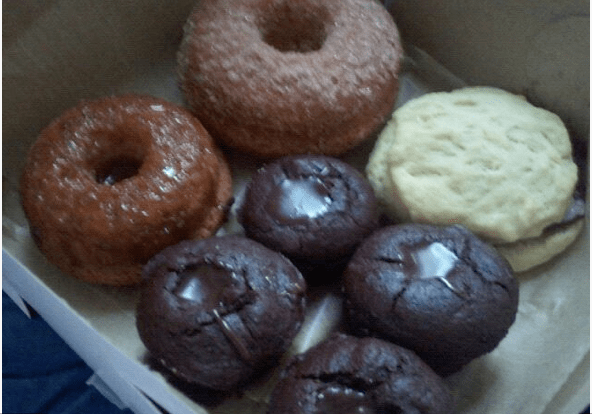 They are known for their donuts, I however really like the chocolate filled agave brownies. The song is by Cults. Check them out, I adore this band. After grabbing a box of goodness at Babycakes I sipped my coffee (Stumptown Coffee) wandered around and stumbled upon a couple really lovely shops that I plan on re-visiting with my Christmas Loot! Crazy…… I hope you are all having a great Friday and if not, no worries, its the weekend soon ! Xo to all you Weekend Warriors. hahaha. « Keep warm when the heat shuts off.